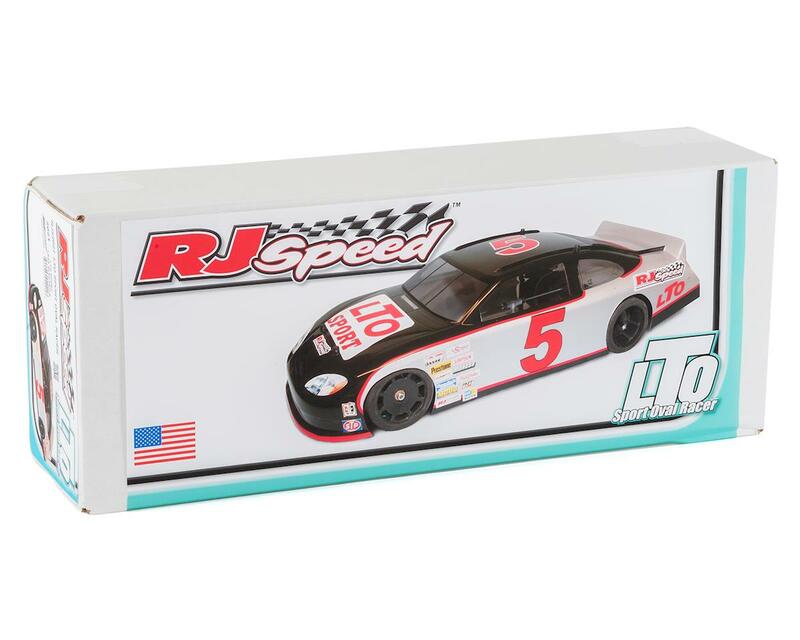 The RJ Speed 1/10 LTO Sport Oval Racer Kit is a 1/10 scale Electric oval racing kit that features a composite fiberglass chassis with adjustable wheelbase, caster and camber, ball diff, t-plate with tweak springs, adjustable axle height, spec racing tires, gears, steering linkage and a clear 2012 stock car body with molded in rear spoiler, window masks and protective film. 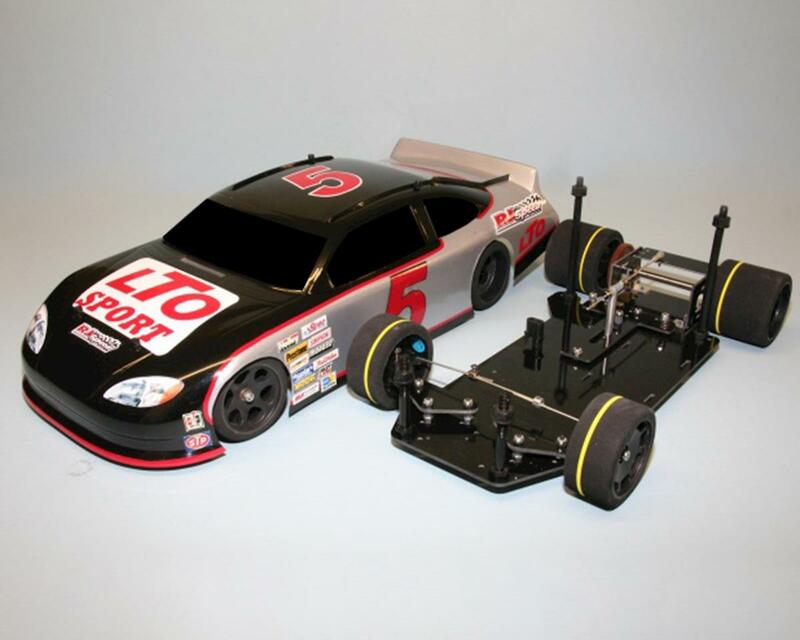 Kit requires 2 channel radio with 1 servo and ESC, servo saver, motor, battery, polycarbonate paint for the clear body, and assembly of the chassis parts. NOTE: Painted and assembled kit is shown in photos for illustrative purposes only. The kit includes a clear body and requires assembly.